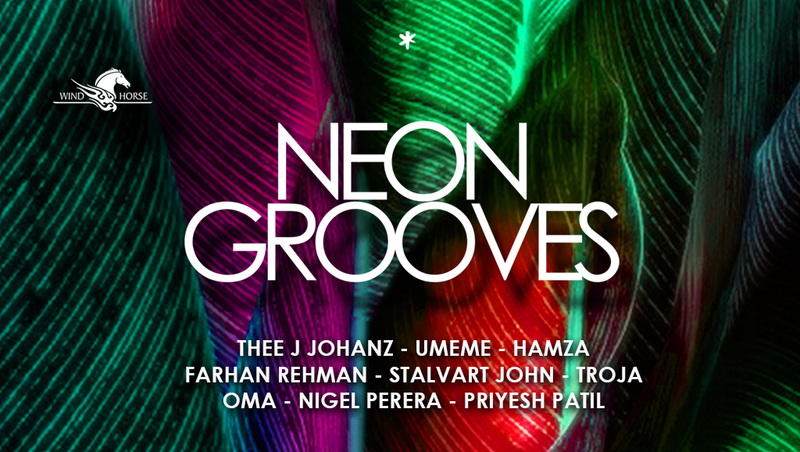 Wind Horse Records is elated to announce a new EP – Neon Grooves. This is the 33rd EP by Wind Horse Records and the inspiration behind it has been taken from a label showcase that happened in Goa in December 2016. 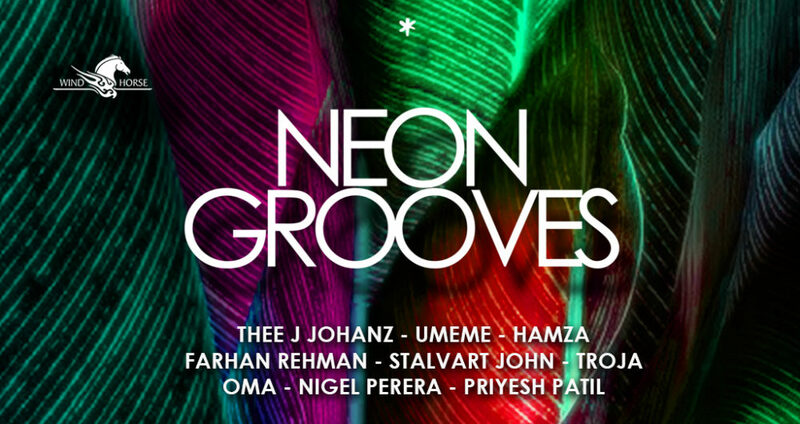 In an effort to spread quality house music across India, the label launched a party called the ‘The Wind Horse Experience’ and the ‘Neon Grooves’ edition in Goa was the first time they had organized an event such as this. The label’s party soon became the place for all house music lovers, especially those searching for a more groovy, funky, and ethnic vibe, complimented of course by Goan sunsets and starry nights. Wind Horse were were thrilled to see the reaction of people to their sound given that Goa is more known for a harder vibe. The line up consisted of DJs that have produced music for Wind Horse over the years and a couple of international guests. After the success of ‘Neon Grooves’ Wind Horse decided to make an EP around this party to remember the magical moment and keep the memory alive. The label invited the artists that performed at the party to borrow from the energy cultivated then and create a beautiful journey to embark on the now. The EP opens with the dutch maestro Thee J Johanz and his remix of “Agama” by Umeme. A real intricate work of art here with its afro vocal vibe weaved into more raw analog elements that evolve and alternate in the midst of a drum-tastic, exotic, and tribal-influenced disco bomb. 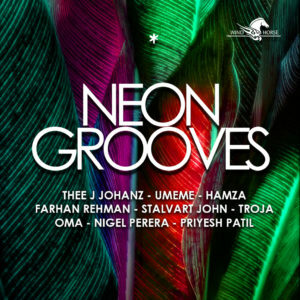 “Neon Afro” by Hamza goes deeper into the tropics with the thrilling combination of percussion and drums with a sprinkling of sweet melodic uplifting elements, teleporting the listener to a sunny beach. “Khawatta Ceremony” by Farhan Rehman (Mumbai) and Stalvart John (Bangalore) is a bit harder, a bit darker. This synth-track will have the dance floor grooving with its refreshing vocals and echoey chord progressions. “Antares” (also the name of the place Wind Horse hosted Neon Grooves in Goa) by Troja (Mumbai) is a change of tempo with a beautiful, ethereal sort of sound formed by warm Indian ethnic instruments and meditative melodies. Oma (Delhi) turns his track up with “One Shade Brighter”. A happy bouncy bass with solid vocals teleports the listener back to the beach party, but with a deeper edge. “Whisky Flask” by Nigel Perera (Sri Lanka) changes up the beat with a groovy number consisting of beautiful chords and twisted sounds, the perfect beach-side sunset tune. To end the journey, Priyesh Patil (Mumbai) brings “Vagabond” with smooth beats and beautiful sax samples and a deep bass to guide the floor right into the horizon.